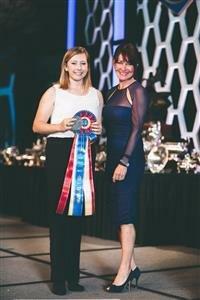 McKenna Shook and her mom Kirsten Duffy recently go to attend the USEF and NCDCTA annual awards dinners in KY. and NC. recently to accept her 2015 awards. They made us all very proud here at the farm! Posted in News on February 8, 2016 by victoryhill1.